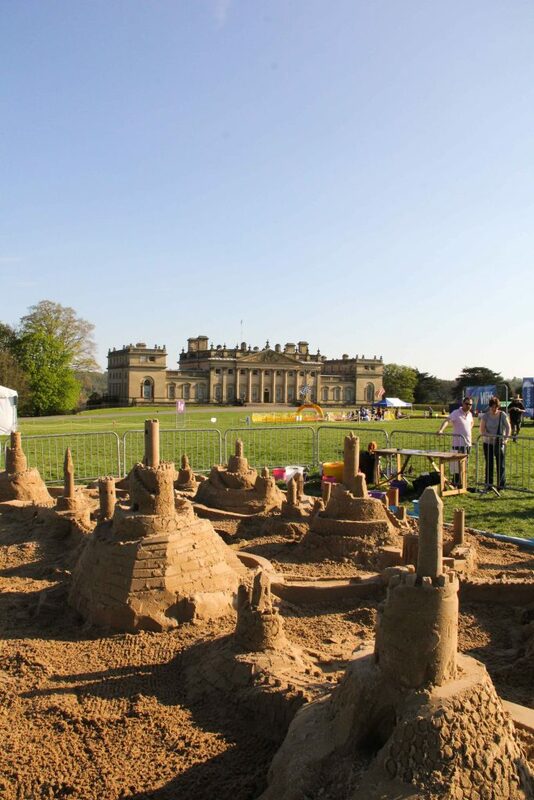 As a proud Yorkshire man, Sand In Your Eye’s Jamie Wardley is always happy to be making sand art in his beloved home county. 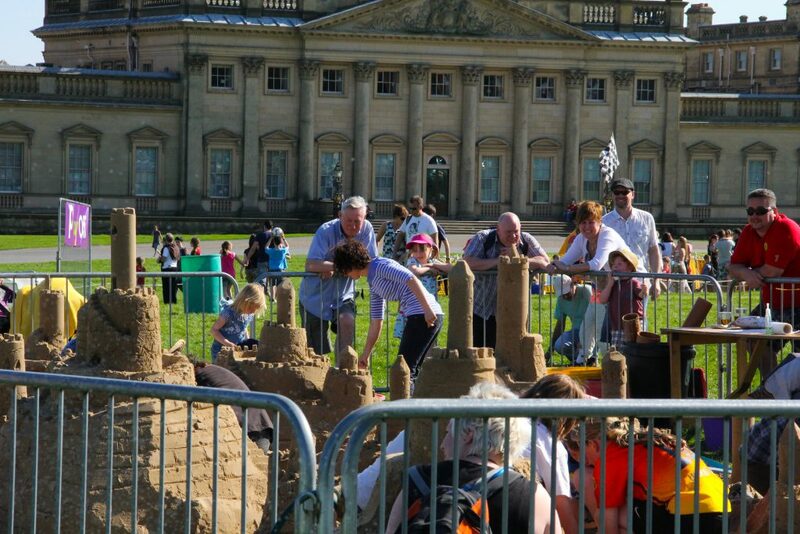 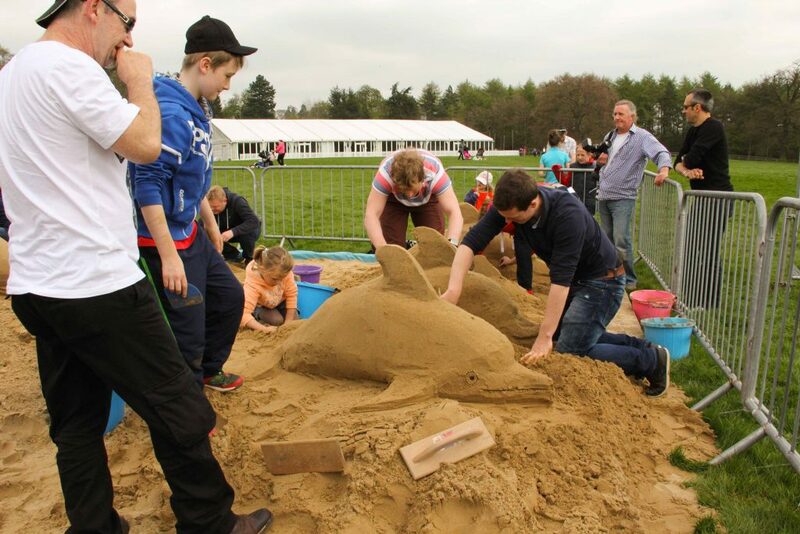 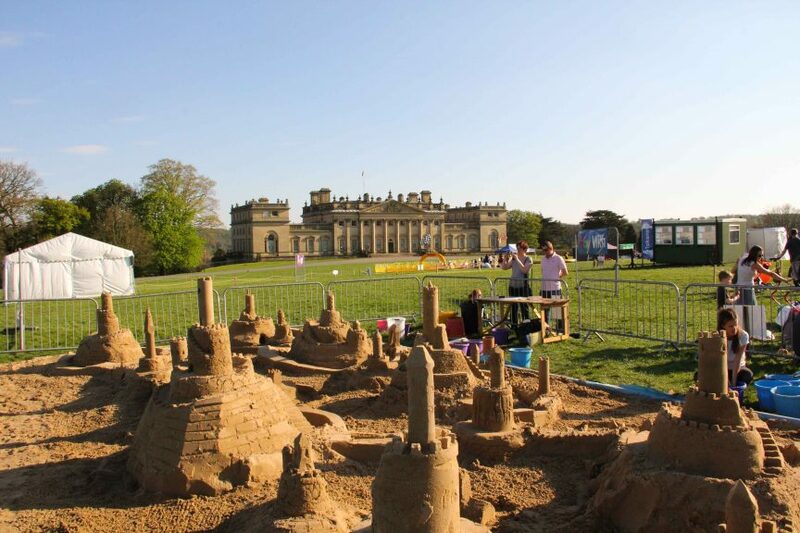 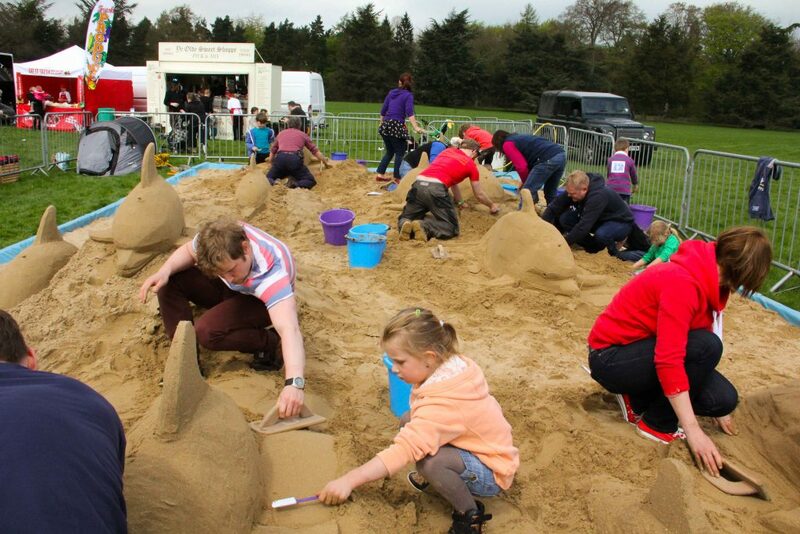 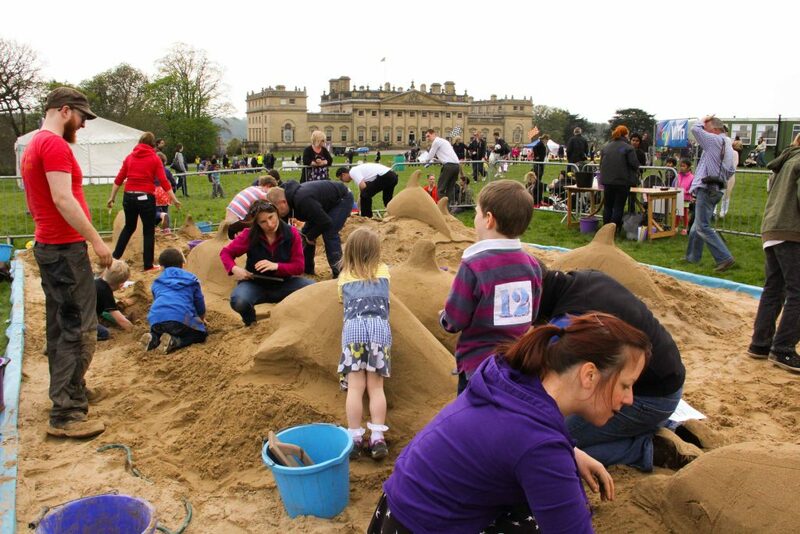 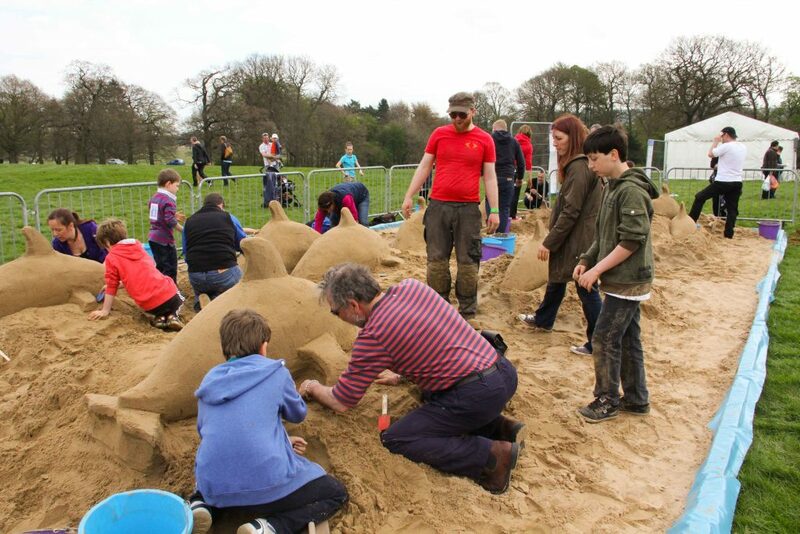 So, it was a pleasure for the sand sculpture team to have beautiful Harewood House near Leeds as a backdrop to run two days of sand sculpting workshops at Harewood House’s Festival of Play. 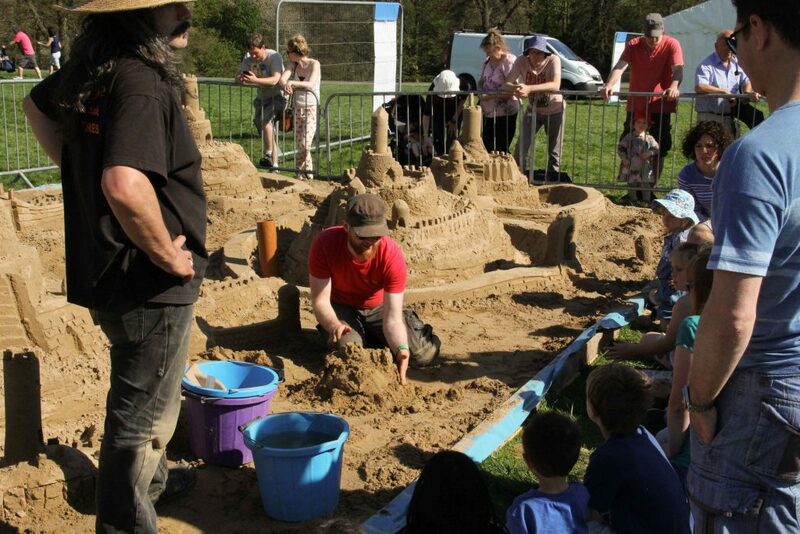 Jamie brought Claire Jamieson, Andy Moss and Jo Billingsley along to join in the sand sculpture fun in the specially constructed 12 tonne sand pit that would house the evolving workshops as the festival took place. 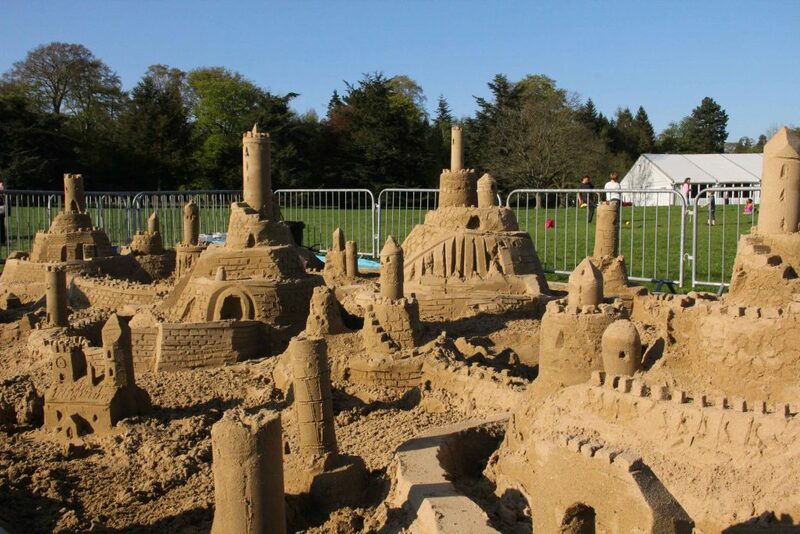 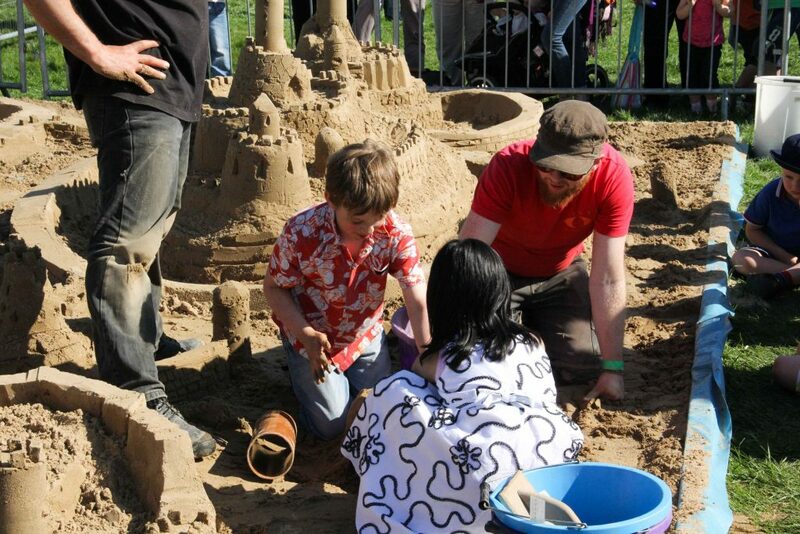 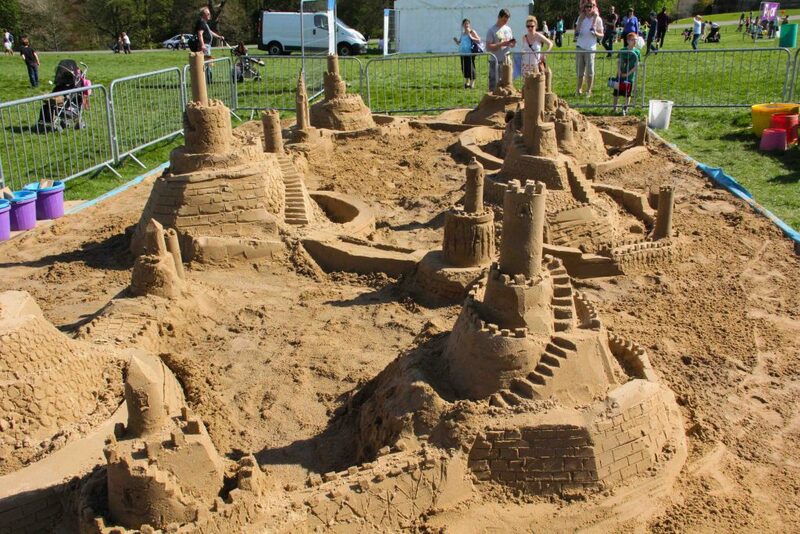 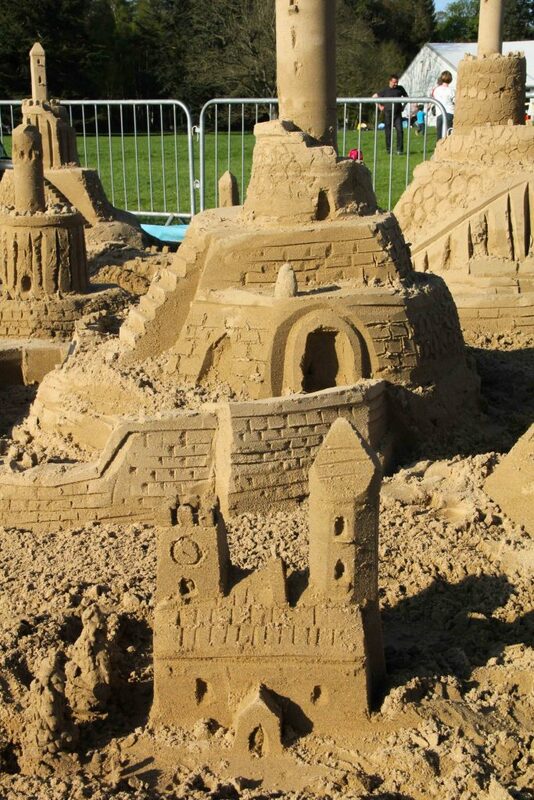 The first day saw a huge sand city emerging from the ground as budding sand sculptors made big castles to begin with, then surrounding villages and finally a series of walls were built around the growing metropolis. 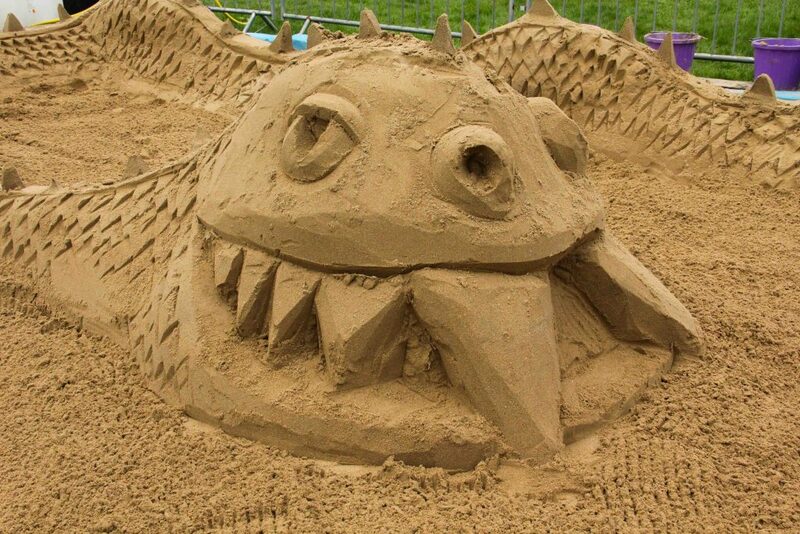 The next day saw a veritable ocean of dolphins, serpents, sea monsters and other sea creatures leaping in and out of the sandy waves. 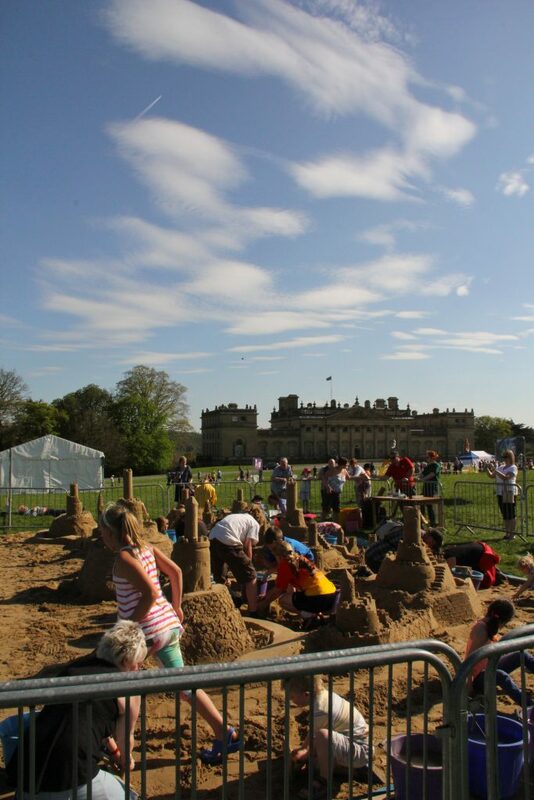 We had a wonderful time, in a spectacular location and enjoyed stunning weather throughout, it was great to get encouraging feedback from the staff at the festival, who said our workshops were one of the most popular events. 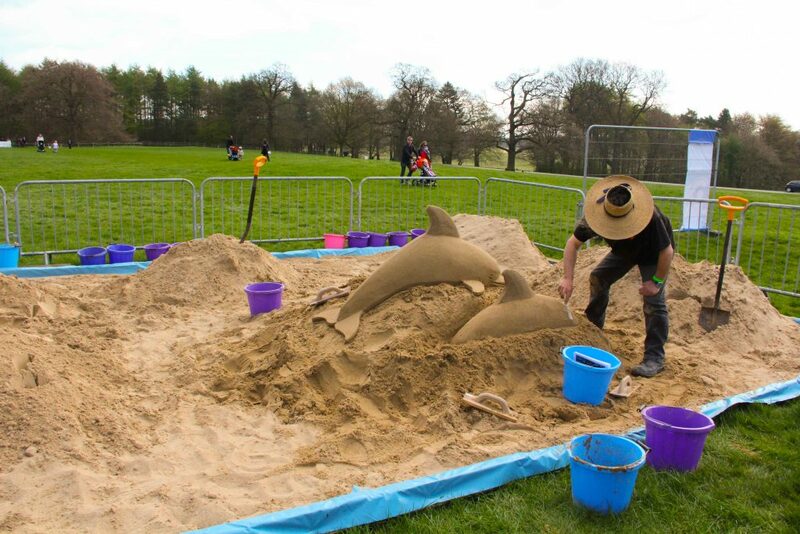 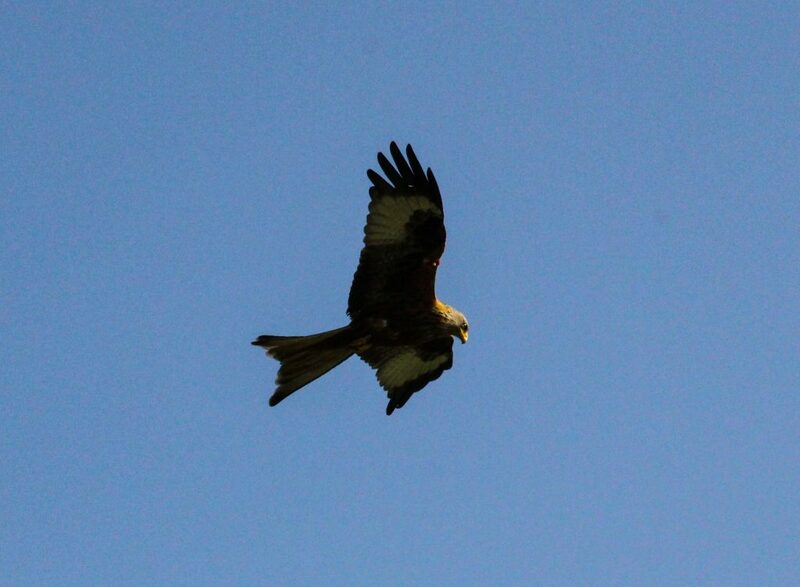 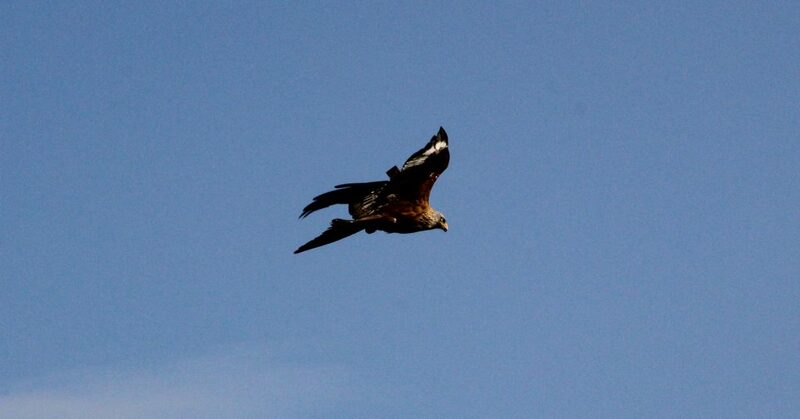 Although for Jamie, the highlight was seeing red kites soaring overhead, as well as the fantastic sand sculptures that visitors to the festival made, this was one of the things that made his day. 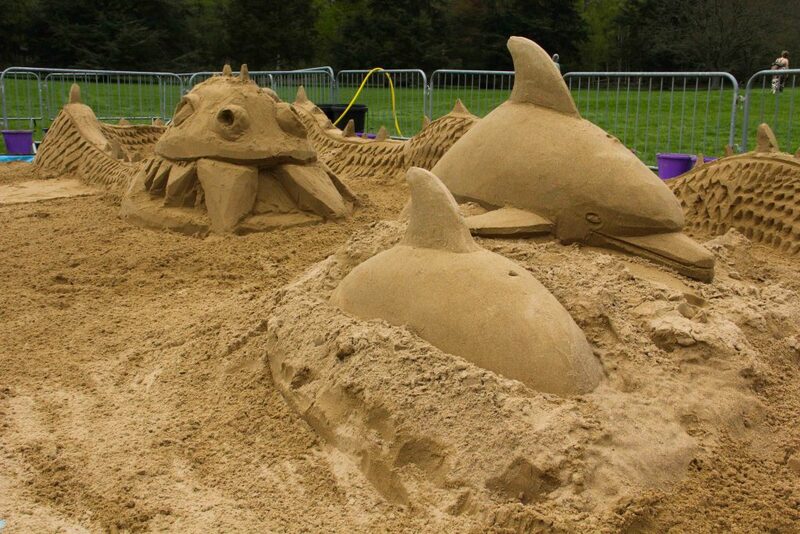 Did you do that on porpoise?